Spyware is a term that is used to describe malicious software that infects your technology (iPhone, PC, etc.) and then gathers personal information about you and your habits. Although you sometimes inadvertently let spyware into your iPhone by agreeing to terms and conditions of a seemingly legitimate (but actually illegitimate) program, many times it finds its way into your system completely without your knowledge. Luckily, there are things that you can do to minimize your risks. Let’s see how to protect iPhone from spyware together. First of all, it’s very important to form a sense of how to protect iPhone from spyware on our mind. Then learn some basic techniques or methods to prevent it, if necessary, apply some apps to achieve it. Don’t underestimate these methods, they can help your protect your iPhone. When you jailbreak your iPhone, you are strayed away from the walled protection of Apple. Suddenly you are introduced to a world of exciting, but malware filled apps that will fill your phone with Spyware. Let Apple do its job and protect you. If you do have spyware on your phone, updating iOS may remove it. With that being said, updates do not remove apps, so it is likely that the spyware will return once you use a bad app again. The best way to remove all spyware is to completely reset your phone and erase it of all affected apps. Two-factor authentication can’t prevent spyware from entering into your iPhone, but it can help to reduce the risk of spyware getting a hold of your personal information. In simple terms, two-factor authentication adds a second layer of protection to your passwords, making it more difficult for spyware to get in. When Find My iPhone is turned on, you can see the location of anyone accessing your device. If your phone is ever stolen or lost, you can also use Find My iPhone to remotely erase your device, preventing any of your personal information from being stolen. Again, this is another way to add an additional layer of security to your device. It’s only a matter of two extra digits, but it majorly enhances your security. Your Apple ID password is essential to protecting the security of your iPhone, and ensuring no one gains access without your permission. It is generally suggested that you update your password every 6 months or more for maximum security and protection. These are some methods that may help you on how to protect iPhone from spyware, but it could not be sure that everything on your iPhone will be safe enough. Actually, you may need a safer way to make sure that your privacy will not be in risk. If so, please keep reading and you will find the way. Many people are not aware of the security of personal information, but it is very important to protect the information on iPhone. Once the information is leaked, it can cause very serious consequences. So you will need the safest way to protect iPhone from spyware. The best way to protect your iPhone from Spyware is with iMyFone Umate Pro. Why not just push the delete button? When you erase your apps or data from your iPhone, you’re really only erasing it from immediate view. Deep within your phone, your information is still stored. If you were to ever lose or sell your phone, this data can be retrieved with the help of special software. But with iMyFone Umate Pro, you can guarantee your security by permanently erasing your private data, with zero chance of recovery. 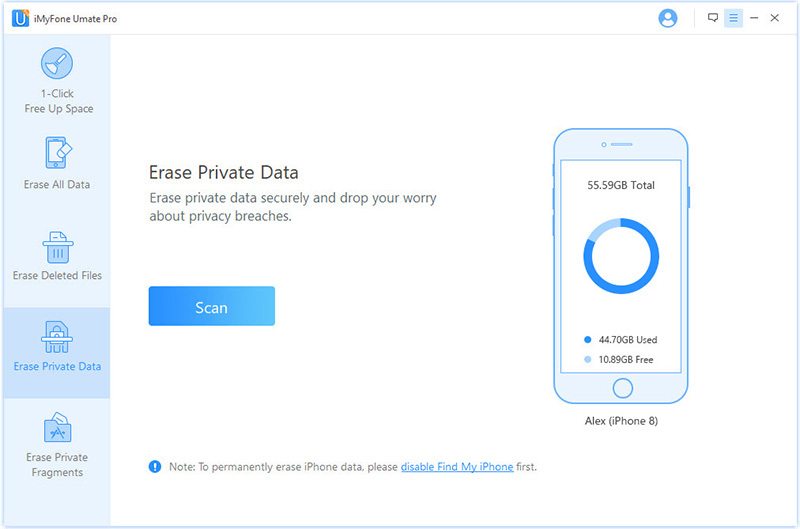 The best way to protect your iPhone from spyware using iMyFone Umate Pro is with the Erase Private Data function. 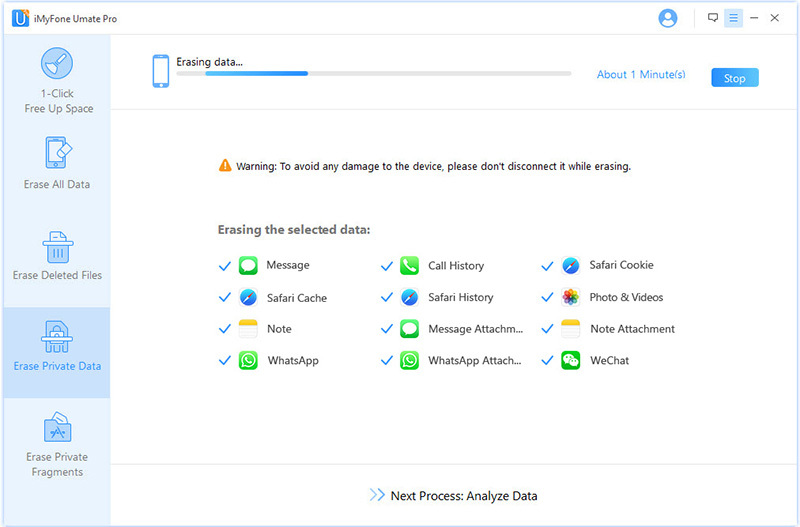 With the help of Umate Pro, you can erase all of your private data with the click of a button. Alternatively, you can pick and choose what you would like to erase and what you would like to keep. 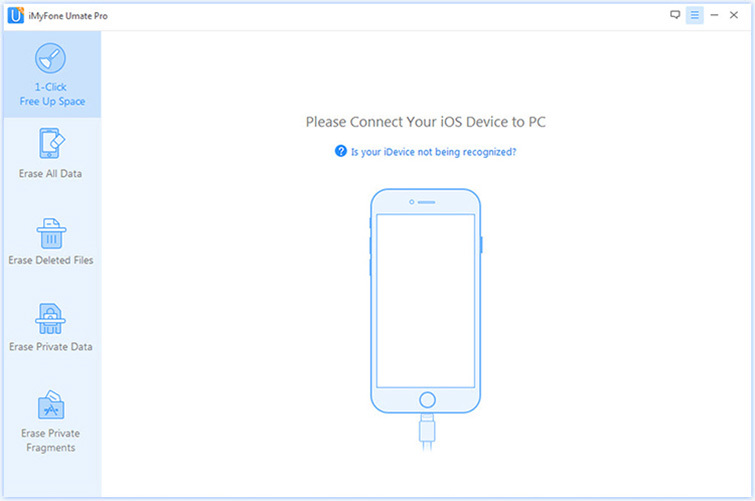 Step 1: Launch iMyFone Umate Pro and connect your iPhone to your computer. 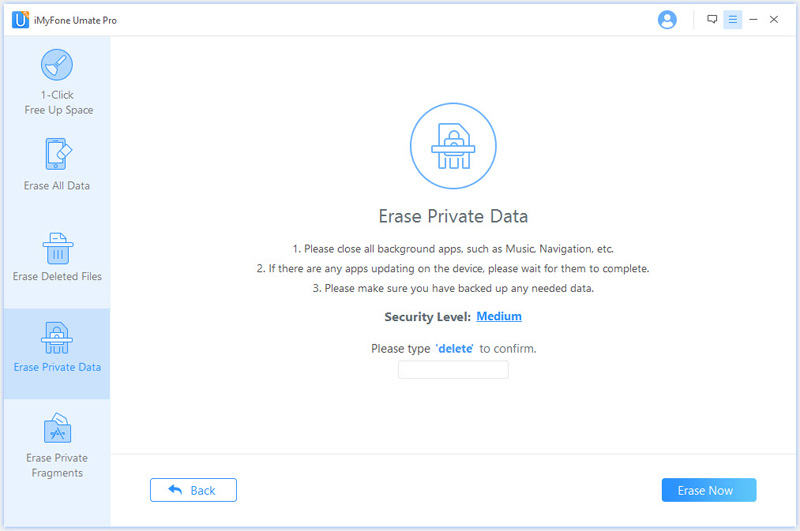 Step 2: Click on “Erase Private Data” then “Erase”. Step 3: Select the files you want to delete, and click “Erase Now”. Step 4: Confirm your delete by typing in “delete”, and click “Erase Now” once again. And that’s all it takes to delete your private data and protect iPhone from spyware. Actually it’s better than just keep away from spyware, because it will be no loss even if there is spyware on your iPhone. There are several different things that you can do to prevent spyware from entering onto your phone, but if it still makes its way in, you might want to consider deleting your personal files permanently. 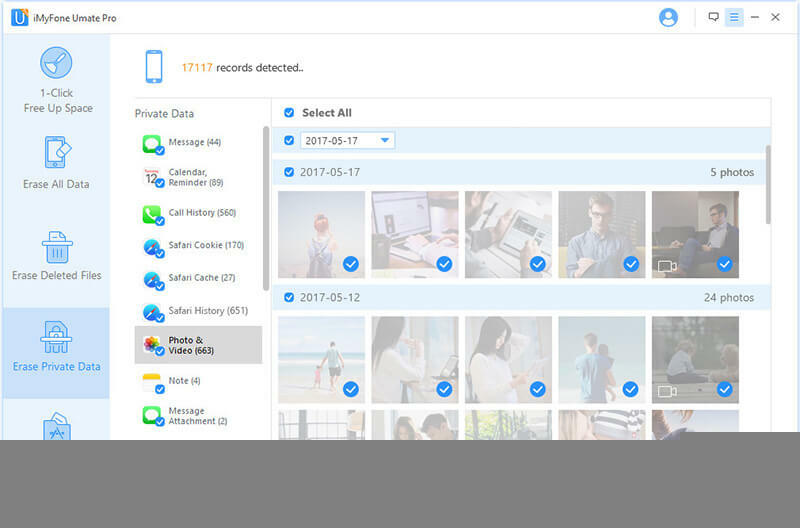 The only way to ensure that your personal files are 100% deleted and safe is with special software like iMyFone Umate Pro. Try it today and keep your personal information personal.